Parrots are amazing creatures and can be sweet like children or really hard to take depending on what they want from you. You’ve got to love them though – they often are a mirror of yourself in your various moods. Aw, come on, God created trees, not cages! 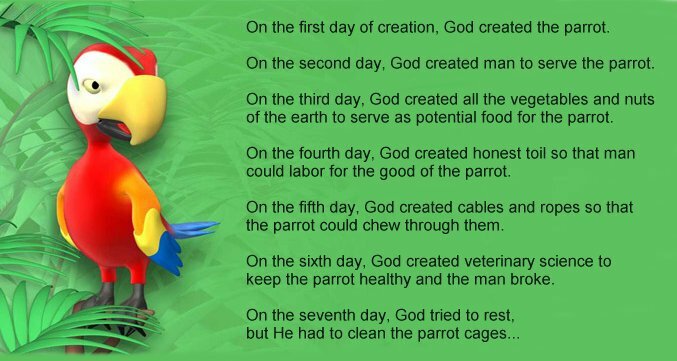 And He set things up so that the parrots, and everybody else, didn’t NEED vets or doctors to keep them healthy! We blew it, and we are still blowing it, and when we get back to GOD’S plan, everything will begin to get better!